It’s been a few years since I was last in Paris… so naturally a trip to the French Pharmacy was on the agenda. City Pharma is the pharmacy to stock up on skincare and other goodies. 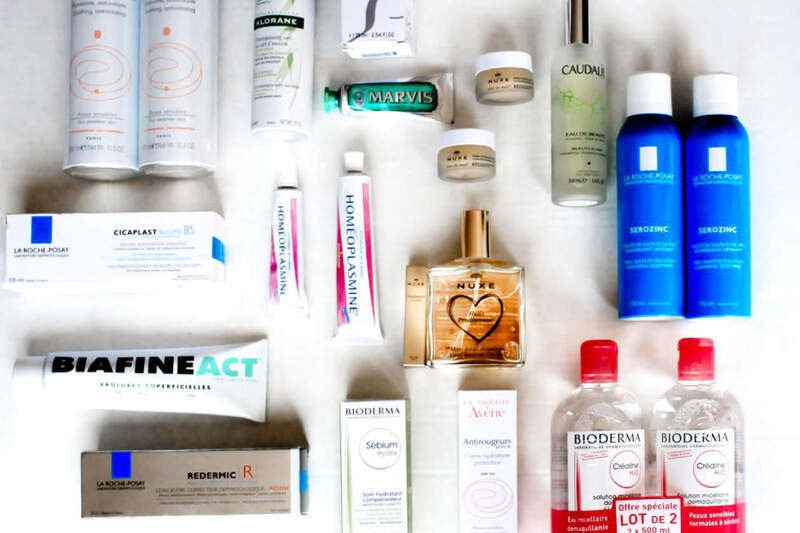 The store is packed with some of the best skincare products on Earth, and it’s prices rival all of the other pharmacies in Paris (you’ll also find prices to be 40-70% cheaper than in the US!). 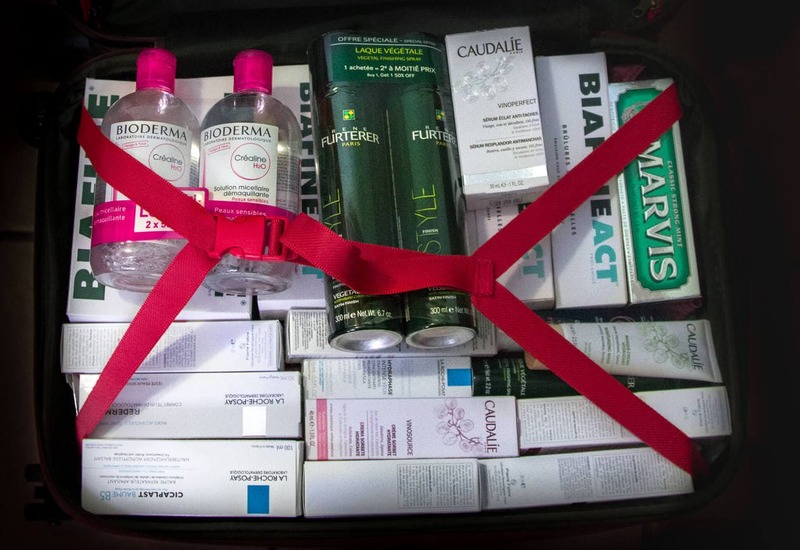 As a makeup artist, City Pharma used to be an industry secret for those traveling to Paris for Fashion Week. Unfortunately, word has gotten out about this goldmine and it’s always packed. 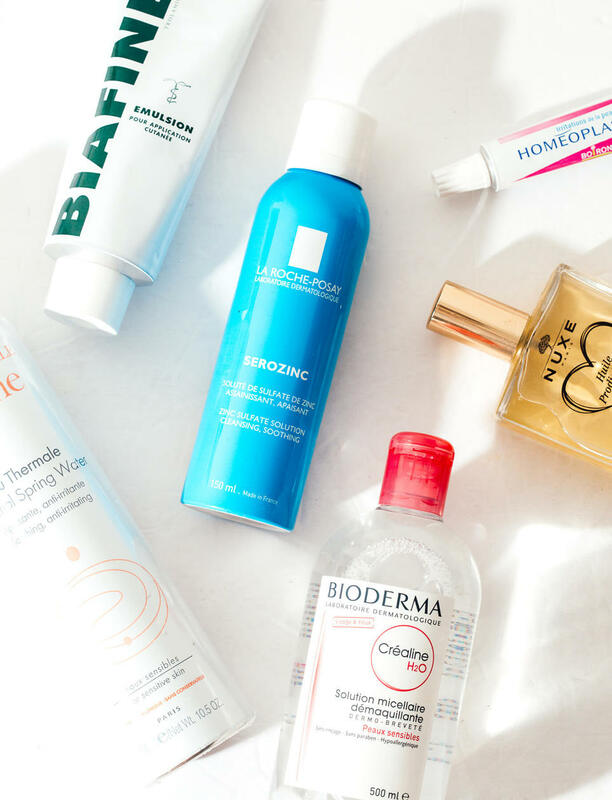 Keep reading for visitor tips, how to save most money at City Pharma and discover how I saved almost $300 on French skincare by shopping here. I was the St. Germain area of Paris around 1pm and decided to pop into City Pharma for a couple of items. I lasted about 3 minutes before walking out .. it was impossible move, let alone shop. I decided to come back later. The next day, I arrived 10 minutes before opening and there was already a group of about 50 people with the same idea. Still, it was much easier to pick up what I needed. City Pharma is busy, and the later in the day it gets, the more people filter start filtering through the doors. Arriving as close to opening as possible (8:30am on Weekdays & 9am on Saturdays) is the best time to visit. Getting there early also ensures that they won’t be sold out of popular items. Do your research and plan what you want ahead of time. The number of people + small aisles makes it almost impossible to stand in one place for any amount of time and browse. The Caudalie aisle is usually the busiest (and most difficult) aisle to navigate. Having a list is also helpful because the pharmacy is pretty big, and it’s easy to get distracted and forget something important. Before I visit City Pharma, I make a list of what I want, include screenshots of the product photos, and note how much they cost at home ( I take skincare seriously haha). This is helpful because you can quickly see the deal you’re getting, plus having photos helps to make sure you grab the right item ( a lot of the product packaging is written in French). 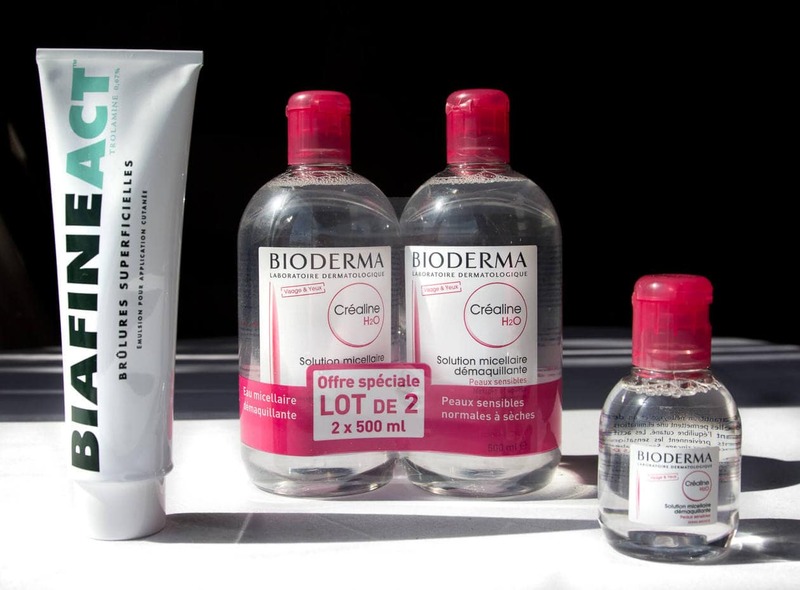 The first time I went into City Pharma, they were out of Bioderma Sebum Hydra, as well as the mini bottles of Bioderma Sensibio and it was only 1pm. Cult items move fast, so make sure you grab them before they run out. If you arrive at opening time and something seems to be sold out, check back again before you leave. The employees are always racing around, replenishing inventory for the day. I saw multiple shelves get re-stocked during the hour I was there. As if the deals aren’t already good enough.. when you spend 175 euro or more in the same day, you’re eligible for a VAT refund! The sales clerk in City Pharma will ask for your passport and give you all the necessary papers to claim your refund. Before you leave the country, go to the customs desk at the airport and then sign up for the money to go back on your card, or pay a little extra to get cash handed to you right there. I opt for cash because I’ve heard it takes several weeks for credit card reimbursements. I highly recommend giving yourself extra time at the airport to do this!! The lines can be long. Upstairs is mostly first aid and medicinal items but you’ll find blue eyedrops up here, along with Homeoplasmine. The Homeoplasmine is behind the counter, and you have to ask a cashier to get it for you. I also picked up some Vitamin C tablets for only $1.99 USD. At any given time, there are about 1-2 salesclerks within arm’s length. They speak English and are very friendly, so utilize their knowledge! They can show you where specific items are, recommend products and translate packaging. Saint-Germain-des-Prés (Line 4) or Mabillon (Line 10) are the closest metro stops. It’s a 2 minute walk from each station and City Pharma is on the corner of Rue Bonaparte and Rue du Four. This is almost like a masque for your lips. It’s extremely hydrating and smells like honey. I bought one Nuxe Lip Balm for me and one for my kit. This multi-purpose, dry oil has been a best seller in France for ages. 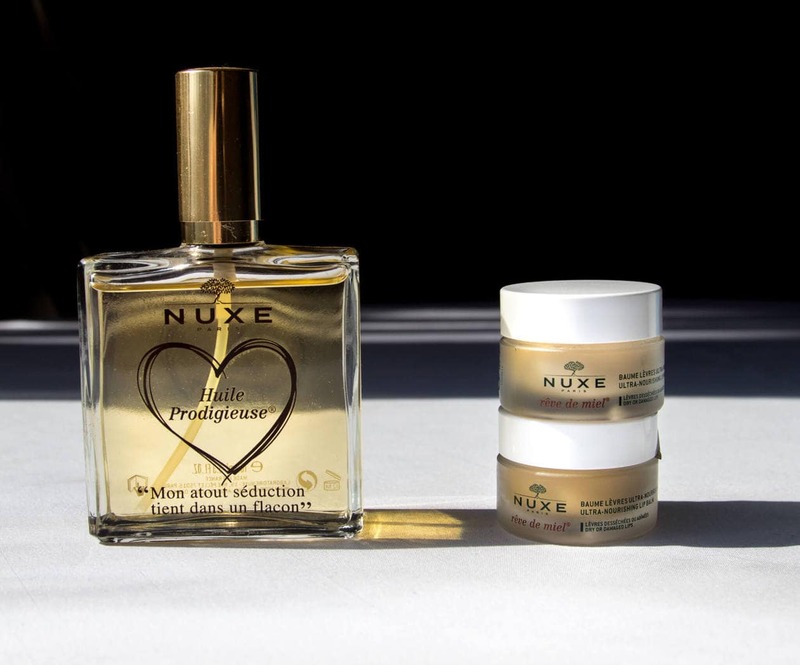 Nuxe Body Oil is made using six precious plant oils (Macadamia, Hazelnut, Borrage, Almond, Camellia and St. John’s Wort), and it smells incredible. 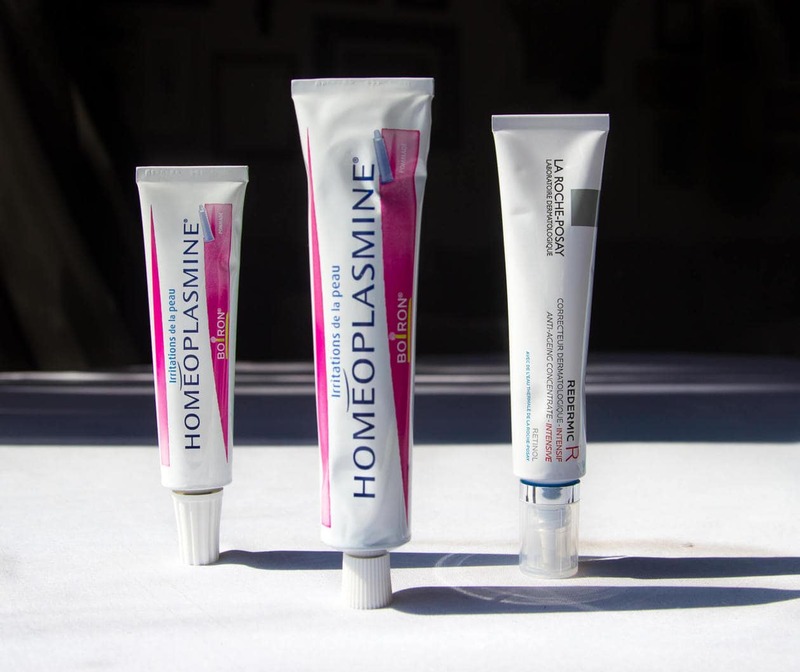 Homeoplasmine is great for a multitude of uses (dry lips, chapped skin etc). I use it mostly for lips and I always have one in my kit. I bought this for myself. Redermic R contains 0.1% pure retinol, the highest concentration you can use without irritation. Karl Lagerfeld uses Klorane and if that’s not reason enough to pick one up, it’s supposedly the best dry shampoo out there. Had to try it. Embryolisse Lait Creme Concentrate is my favorite moisturizer in my kit! I just bought a new one before this trip so I didn’t need multiples, but they usually have a 2 for $23 deal. I usually reach for Embryolisse Hydra Mat when I’m work with oily skin, but I decided to try something new and picked up this Bioderma Sebum Hydra instead. 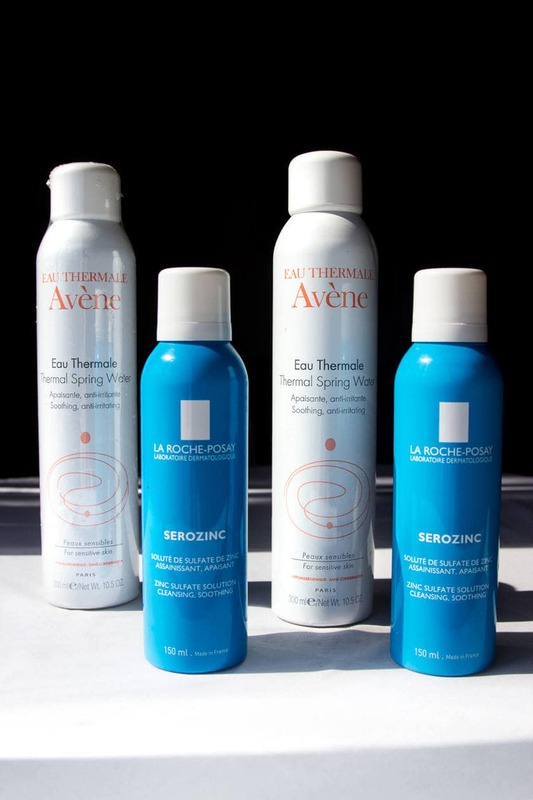 I use Evian spray in my professional makeup kit for skin prep purposes, but I’ve heard Avene’s Thermal Spring Water runs circles around it. I grabbed two large bottles and one medium because the prices can’t be beat. La Roche Posay’s Serozinc spray is supposed to be good for oily, acne-prone skin and it was cheap so I decided to test one out. This one is also for me. It’s a light day cream that is supposed to calm redness. I’ve wanted to try this for forever because I constantly see it in other makeup artist’s kits. Finding the Caudalie Beauty Elixir at City Pharma for $20 cheaper than I can get it at home was the highlight of my trip. This is an ultra gentle soothing, repairing balm. It’s heavy but not greasy and doesn’t clog pores. Great for very dry skin and also for people on Acutane that have flaky, sensitive skin. Biafine is a staple beauty product in France. It’s a plant-based treatment used to stimulate cell regrowth and is widely used to repair skin after sunburns. It’s also great for healing wounds and chapped skin. It’s hard to find in the US an prices go for upward of $75! I picked two up for less than $8. 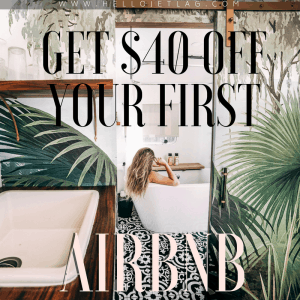 I’m obsessed and this deal is ridiculous. 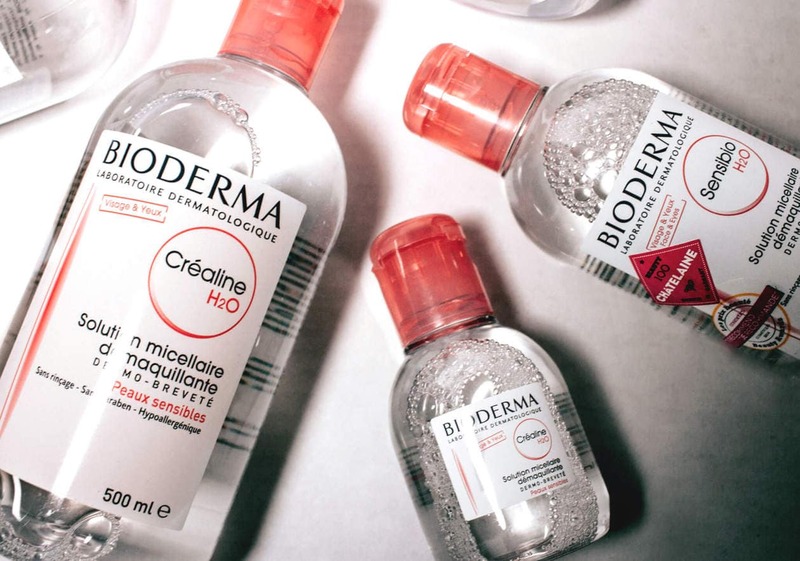 I almost bought a new suitcase so I could fill it solely with Bioderma Crealine.. and then I realized I need more reasons to come back to Paris. Needed to save suitcase room for more important items, so I bought the travel sized Marvis because it was cute. Nick asked to use it a few days later because he ran out of his.. haha, no. I took my savings and splurged on some macaroons at my favorite patisserie, Gerard Mulot! 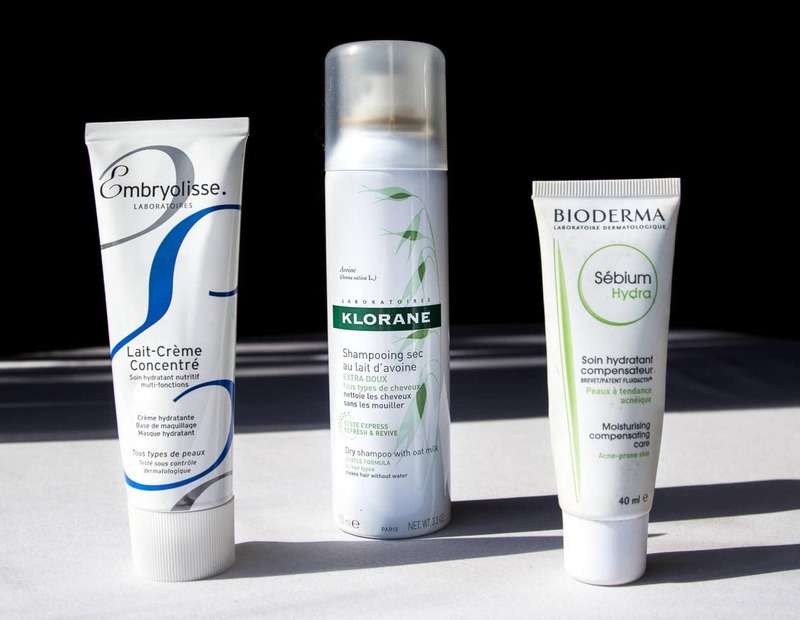 What are your favorite French skincare products?? Amazing picks! 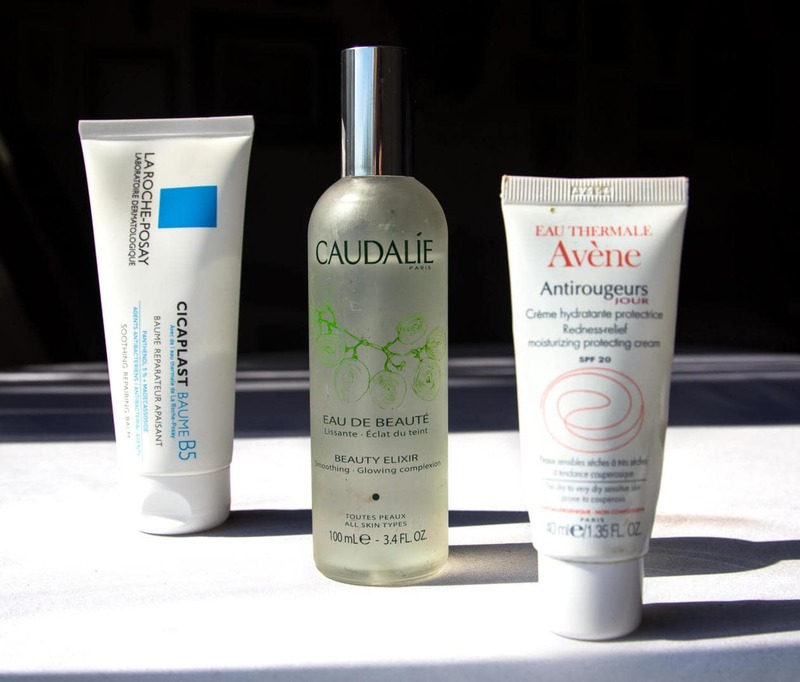 You can never go wrong with the French pharmacy classics!